When purchasing an investment property, it is imperative that an inspection is conducted to ensure that the property does not only look good from the outside. 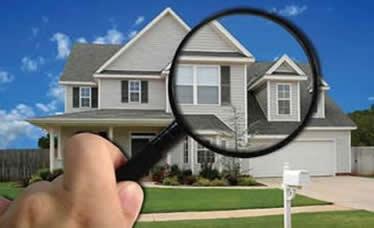 Inspecting the property also saves you from thousands of dollars of unexpected repair and maintenance. Here are 5 property problems you need to avoid. Water damage. Signs of water damage in the property is very alarming – as this can be very expensive to fix. When inspecting a property for water damage, check for stains in walls, ceilings, in cupboards, in the kitchen and in the bathroom. Check for the presence of mold and mildew that can affect the structural integrity of the property. It is also important to check all gutters and downpipes to ensure that no water is leaking in the ceiling, which can cause serious insulation and electrical problems. When inspecting a home, it is best practice to turn on all the taps to see the water pressure. A low water pressure may indicate a possible leak that needs to be addressed. Foundation. The property should also be checked for structural integrity issues in the foundation. Stay away from properties that show signs of termite damage – as this can cost thousands of dollars to repair. Check for foundation issues, such as damaged floorboards, rotten wood supports, as repairing this can be expensive. It is important to check these issues especially for older properties, as a soft foundation can give way and cause properties to shift over time. Plumbing and Electrical. These are perhaps one of the most common issues when purchasing property. Pipes and drainages should be checked, as well as electrical issues. Flickering lights are a possible sign of electrical damage – and this has to be addressed immediately. Electrical insulation is very important to protect your property from fire and other severe damage. Pest damage. The property should be checked for ants, termite and rodent infestation. Any one of these can cause thousands to repair, depending on how severe the situation is. Expect that there will be repairs along the way should you find any pest damage in the house. Paint Job. Always ask when the paint job was done, as this can be used to conceal issues in the house. If it has been done recently, make sure to check for possible cover ups in water damage. Inspect the walls, ceiling and floor. When purchasing property as an investment, you can choose to inspect on your own should you know what to look for. Also consider bringing in the experts if you are unsure – better that you know now what needs to be done to improve and repair the property than find out after you signed the dotted line.